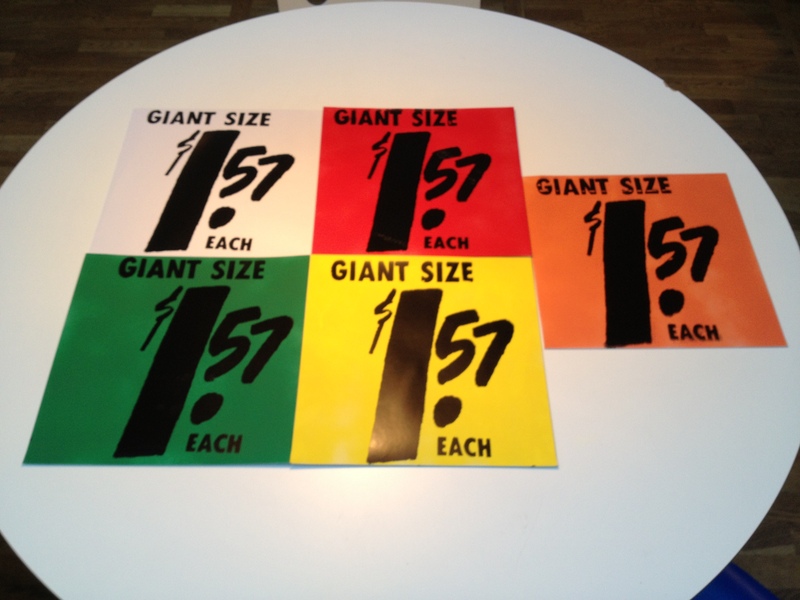 Andy Warhol produced the “Giant Size $1.57 Each” sleeve in five variations with the help of Billy Klüver, who had recorded the interviews with the artists involved in the “Popular Images” exhibition at the (now defunkt) Washington Gallery of Modern Art that ran from 18th April until 2nd June, 1963. The exact history is not known. A first edition of 75 sleeves with black image screened directly onto the coated stock record sleeve, each signed and numbered on verso was produced in 1963. He could even have printed the coloured covers at the same time or, having saved the screen, made them in 1971. 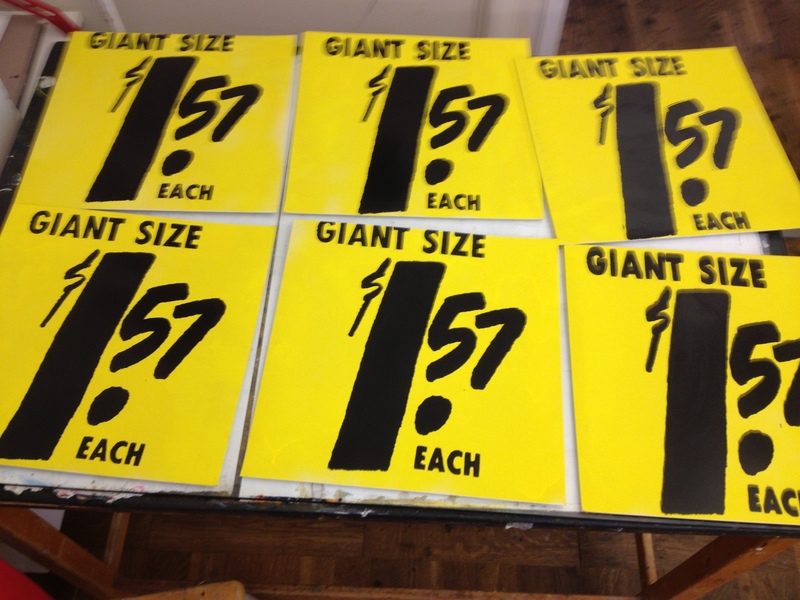 Editions of 75 copies each, silkscreening the black “Giant Size” image onto sleeves that he had first spray painted. There were yellow, green, red and orange editions. These were sold in 1971. 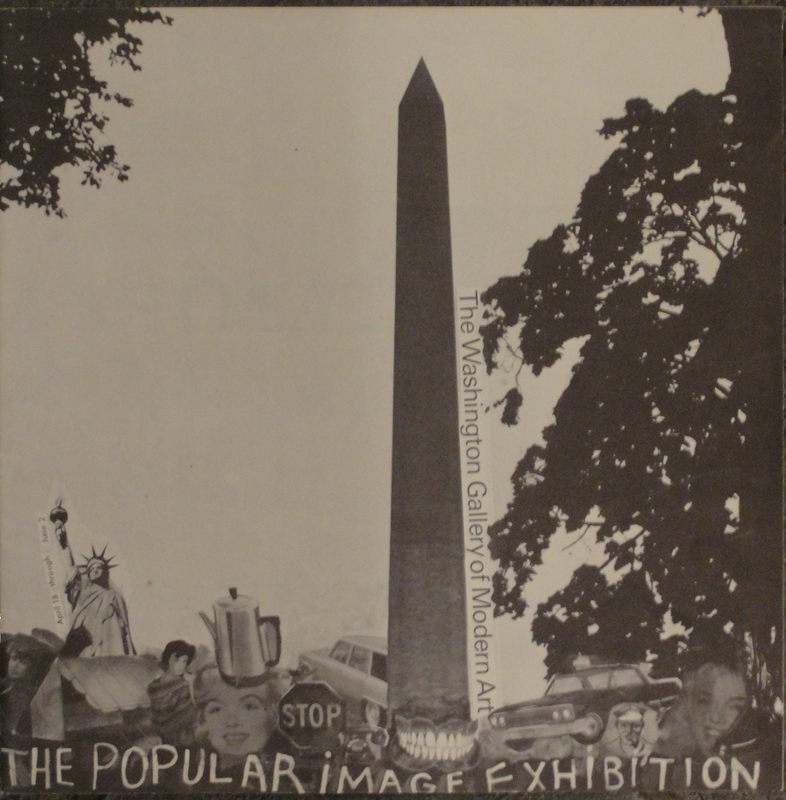 Many covers have included the record from the “Popular Images” exhibition, possibly because Billy Klüver had a stock of the LPs. 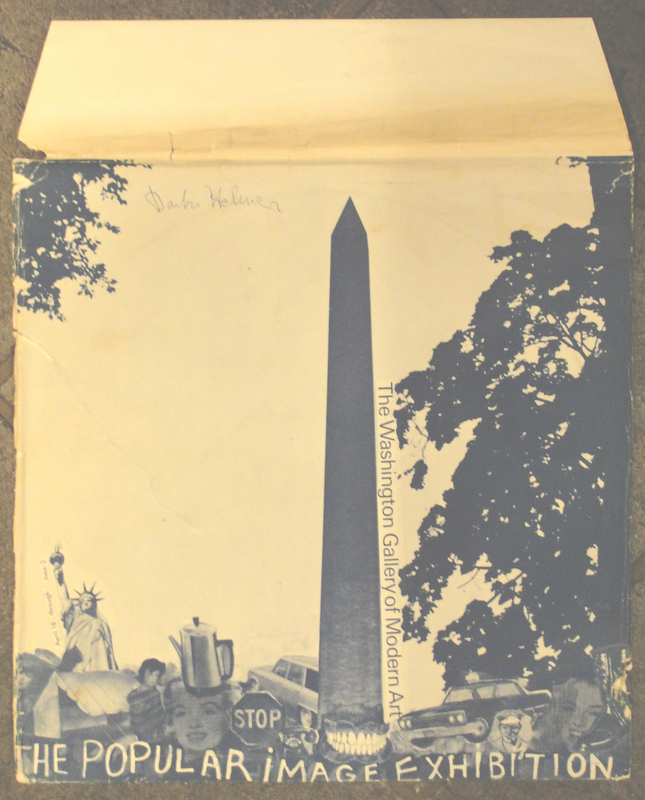 The record, comprising interviews with all eleven artists whose works were shown at the exhibition was recorded by Billy Klüver and originally came in a cover designed by Jim Dine. 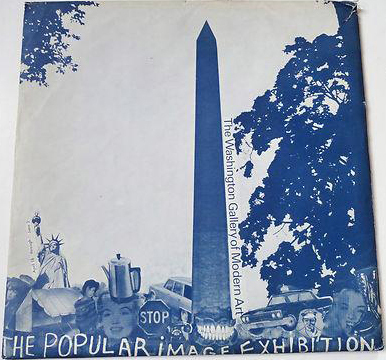 It seems, however, that the “Giant Size” cover was not shown at the exhibition. Copies of the cover with or without the record have changed hands for anywhere between $10,000 and $20,000, making them unattainable for most collectors of Andy Warhol’s record sleeve art. However, the technique should be easy to replicate and the “Giant Size $1.57 Each” image is easy to find and reproduce. All that is needed is the right materials. 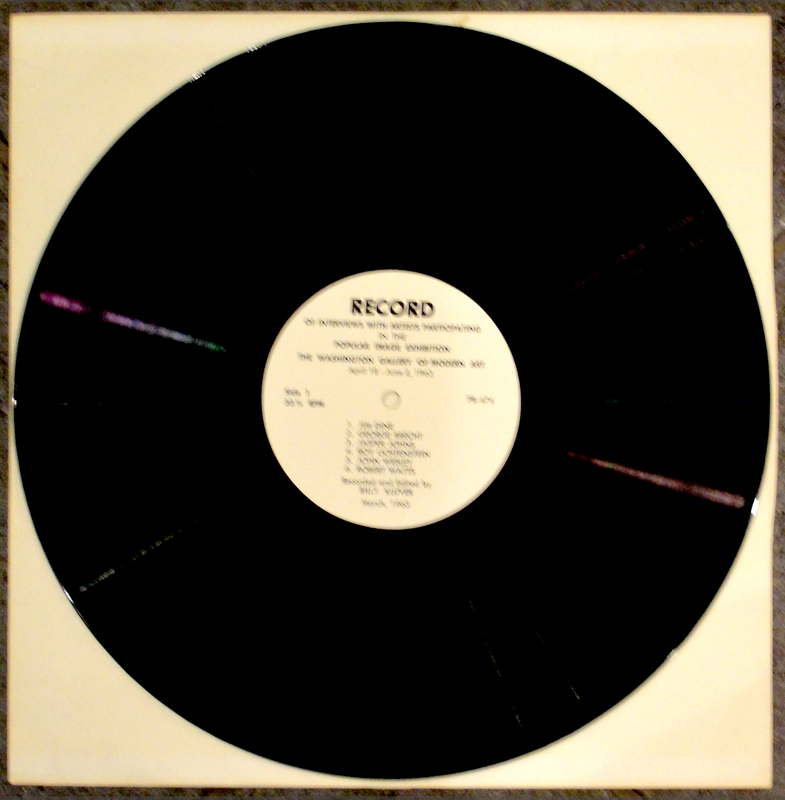 Sufficient 12-inch record sleeves, spray paints, a silk screen and emulsion for transferring the image from overhead film to the screen. 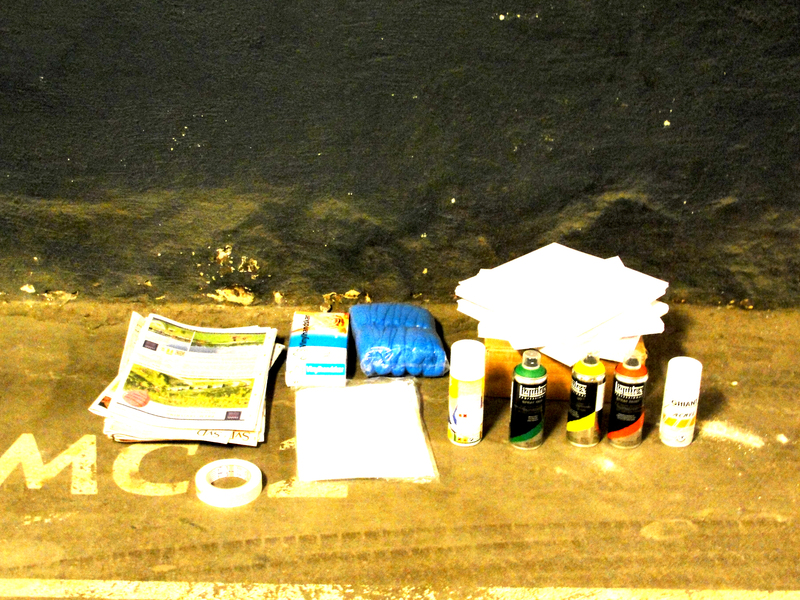 Then acrylic paint to screen the image onto the pre-prepared covers. So, having foraged for all the materials I set to work and spent 2 1/2 hours spraypainting record sleeves in the four colours. 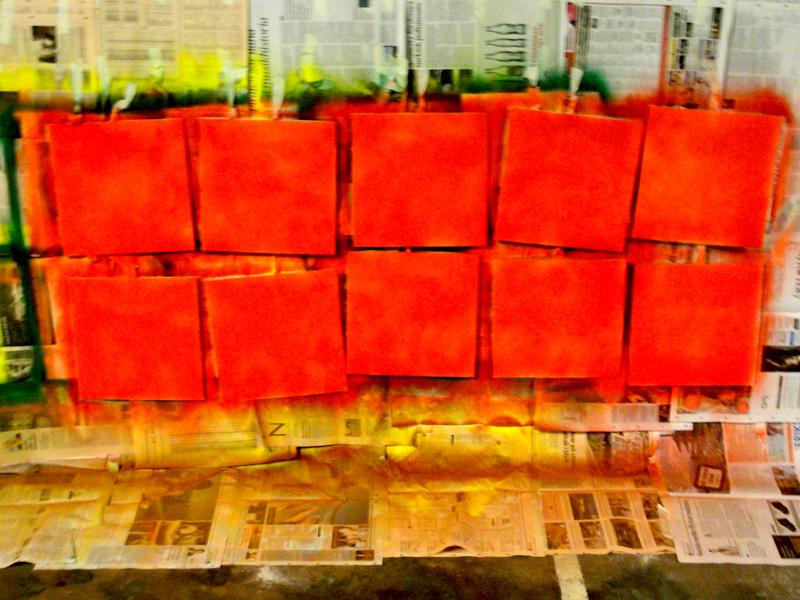 Until all four colours were sprayed. I had put my name down to go a silkscreen course and was one of six “pupils” to participate on the weekend of October 12-13th. I intended to make ten sets of five covers and silkscreen the “Giant Size $1.57 Each” design onto two T-shirts. 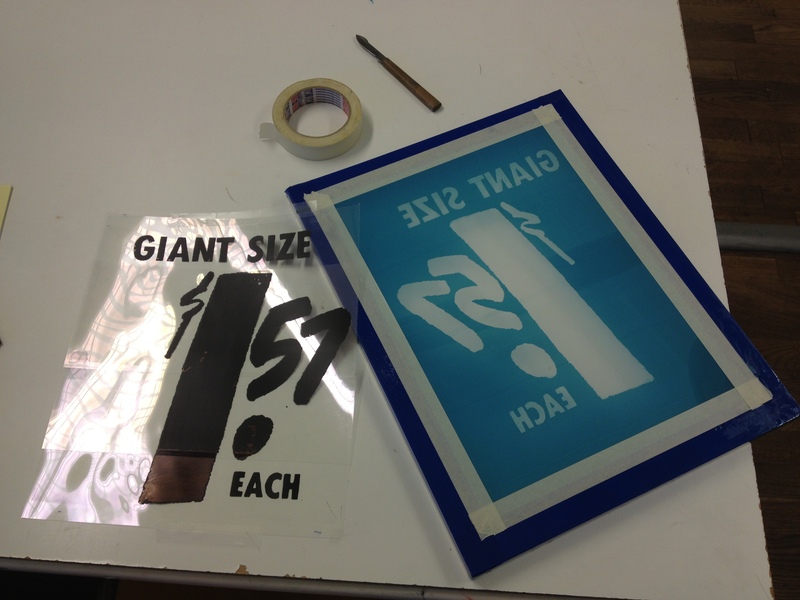 The silkscreen with the “Giant Size $1.57 Each” image in reverse together with the overhead from which the image was taken. 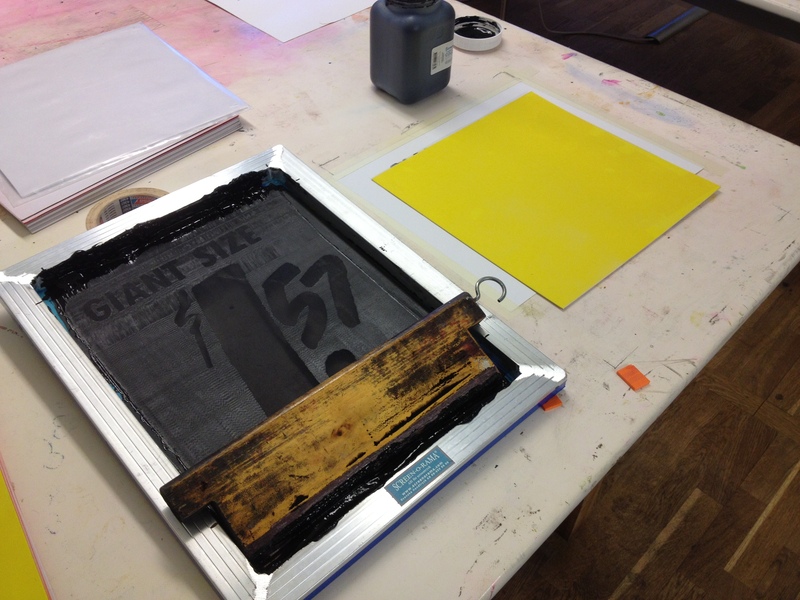 Then I got down to silkscreening the covers, beginning with the yellow ones. Orange, green and red covers followed and finally, when had learned the technique better, I screened the white, unsprayed sleeves. I had ordered 50 covers – so no room for error. Unfortunately there were a few poor screens so I will need more covers to complete the ten sets I had planned. The first yellow sleeves screened. One set of five screened sleeves.